The Forever Flawless White Diamond Collection is our 4-step basic facial treatment. Designed for everyday use, this basic beauty system, enriched with genuine natural diamond powder, will keep your facial skin clean, soft, smooth, radiant, and hydrated. By utilizing genuine natural diamond powder as an exfoliating agent, our Forever Flawless products penetrate deeper, better, and in a more effective way into the skin so you can expect added smoothness and softness to your skin starting on day one – and striking results within a few weeks time. A recommended beauty regimen for the White Diamond Collection is as follows: Apply the Cleanser, Toner, Exfoliating Cleanser, Multi-Purpose Lotion, and Day/Night Moisturizers daily or as needed. Apply the Facial Peeling Gel 1-2 times a week (max). The Forever Flawless White Diamond Collection is comprised of our luxurious Cleanser, Toner, Exfoliating Cleanser, Facial Peeling Gel, Day and Night Moisturizers, and our Multi-Purpose Lotion. Forever Flawless Diamond Infused Cleansing Complex is a unique blend of exclusive minerals, essential oils, and botanical extracts. Extra‐fine diamond powder is added to our formula to gently exfoliate, allowing the multi‐vitamin nutrients to penetrate the skin's surface for maximum results. 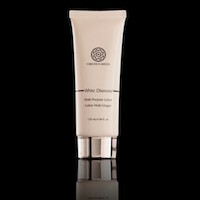 This cleanser effectively washes away make‐up and impurities. It also soothes, hydrates, and refreshes the skin, and after washing will continue to protect your facial skin from pollution, toxins, and free radicals. Your skin will feel clean, soft, and younger. For best results, follow with Forever Flawless Vitamin C Booster and Hydra AM/PM Moisturizers. Massage over wet face and neck. Rinse off with warm water. Use daily. 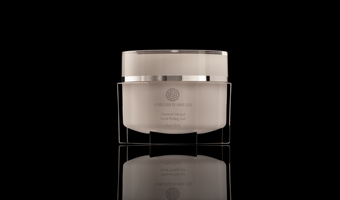 Forever Flawless Facial Peeling Gel is a gentle, yet effective exfoliating and peeling treatment for your face. Exfoliating and peeling are essential to any skin care routine because they remove pore‐clogging residue that can lead to acne, inflammation, and other skin problems. Infused with extra‐fine natural diamond powder, botanicals, and multi‐vitamins, this Facial Peeling Gel will gently remove dead and dry skin cells and impurities from the top layer of your skin, revealing smooth, soft, and luminous skin underneath. Apply over clean moist skin, massage in circular motions until desired exfoliation is achieved. Rinse with warm water. Use 1-2 times a week. For best results (although differs between skin types) apply on slightly damp skin and don’t let it sit and dry for too long. If it sits and dries for too long it may “stick” to the face and in that case remove with warm water and apply a lesser amount next time. This item is for a facial use only and is not a body scrub. Please do not use more than 1-2 times a week to allow your epidermis to produce new skin cells before you exfoliate the old ones. Forever Flawless Exfoliating and Foaming Facial Cleanser is a luxurious daily cleanser and make up remover all in one. Specially formulated, this proprietary blend of minerals, essential oils, and rich botanicals, gently yet thoroughly removes make up, excess oils, and impurities. Enriched with extra‐fine diamond powder, this exfoliating cleanser hydrates, nourishes, and protects your skin, leaving it refreshed and renewed. Massage gently over wet face and neck in circular motions. Rinse with warm water and pat dry. Use daily. 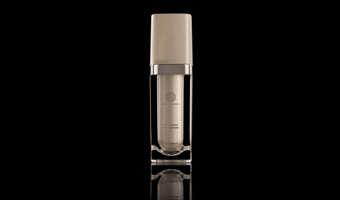 This Foaming Cleanser is many times used in lieu of the forever Flawless Cleanser and Toner as a 2 in 1 combination. Great if you are on the run. Forever Flawless HYDRA‐AM will become your favorite daily moisturizer. This exclusive formula contains extra‐fine diamond powder, rich botanicals, skin‐conditioning vitamins, and milk proteins. Richly luxurious, this moisturizer absorbs quickly, leaving your skin smooth, supple, hydrated, and radiant. It also works as an excellent primer for makeup. 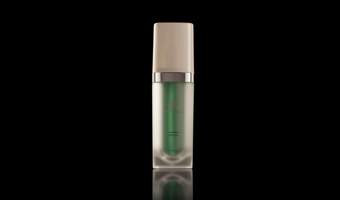 For best results, use after Forever Flawless Cleansing Complex or Facial Peel. 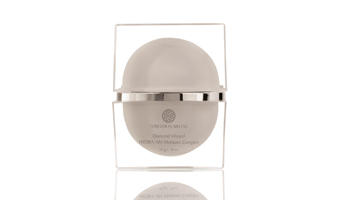 This exclusive HYDRA‐PM Night Cream contains extra‐fine diamond powder, rich botanicals, skin conditioning vitamins, and milk proteins to revitalize and regenerate your skin while you sleep. 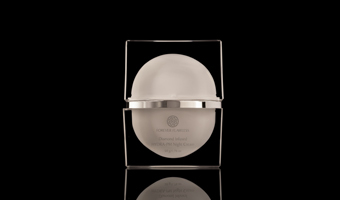 Richly luxurious, this night cream absorbs quickly, leaving your skin smooth, supple, hydrated, and refreshed. For best results, use after Forever Flawless Cleansing Complex or Facial Peel. Apply to clean face and neck. Use Daily (every night). Formulated with Aloe Vera and Natural Diamond Powder, this Forever Flawless Purifying Toner maintains the skin at optimal pH and moisture levels. The combination of the Aloe Vera and Natural Diamond Powder ensures the removal of dead skin cells as well as a deep penetration into the pores to remove excess sebum, blackheads, whiteheads, and other imperfect‐ ions. This toner purifies and detoxifies the skin and is an essential part of any beauty routine. FD&C Color Blue No. 1. Moisten a cotton ball or pad with toner. Using circular motions, apply on clean skin over face and neck. Use daily. Forever Flawless Multi‐Purpose Lotion is a balanced formulation of essential oils, plant extracts, skin‐nourishing vitamins, minerals, and antioxidants. Enriched with natural diamond powder, it will keep your skin hydrated, nourished, and rejuvenated. This multi‐purpose lotion quickly penetrates the skin to make it feel soft, smooth, and supple. Smooth onto clean skin and massage lightly until fully absorbed. Use as needed. Perfect for use after manicures or pedicure.